A reborn doll is a lifelike doll that has been created from a play doll or a doll kit. Each reborn doll created by Blessed Baby Creations is painted in layers using Genesis heat set paints to create a realistic looking skin tone, including veining, darkened creases and skin mottling. This high quality paint is guaranteed not to fade or rub off. My reborn dolls are weighted using tiny glass beads and stuffed with soft polyfil. This combination of glass and polyfil creates a cuddly and true to life feeling baby. A reborn baby�s head must be supported just like a real newborn infant�s. The hair on your reborn doll is micro-rooted 1-2 hairs at a time, using premium mohair. The hair is sealed from the inside so that you can gently comb and style your baby�s hair. A sleeping reborn has hand rooted eyelashes that match the hair on his/her head, and an awake baby has whispy eyelashes carefully glued to his/her eyelid. Awake babies also have acrylic eyes that are the colour of your choice. Each reborn doll is a collector�s item to be cherished and admired for years to come. Reborns are not play dolls and should not be given to children to play with. 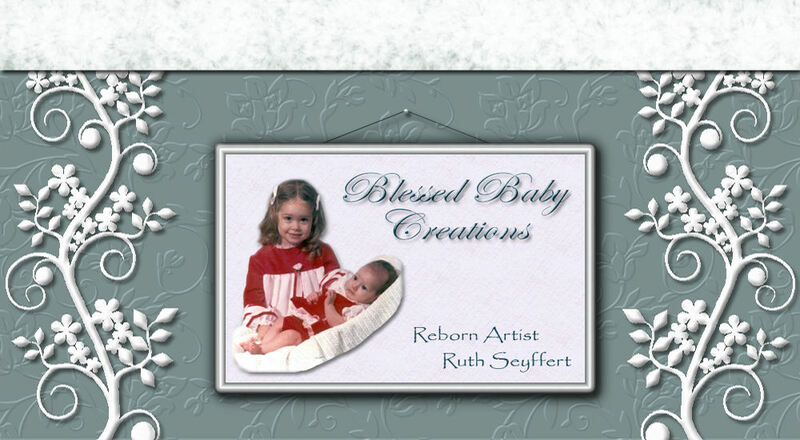 Blessed Baby Creations accepts custom orders for reborn dolls. Take a few minutes to look over some examples of my work and to review the custom doll descriptions. 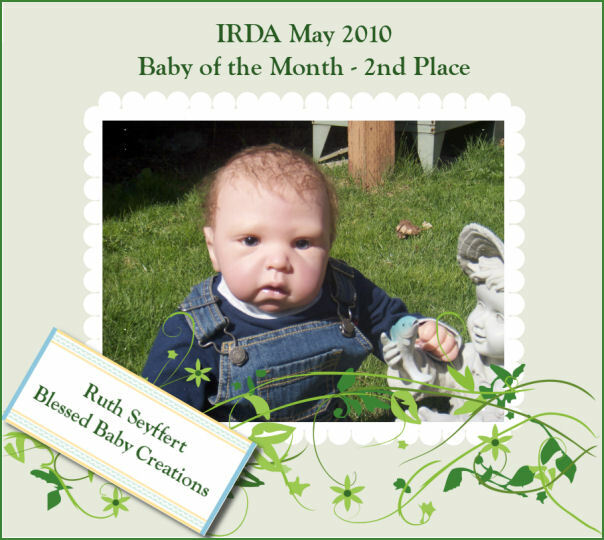 Each reborn baby is created by Reborn Artist Ruth Seyffert, who meticulously adds layers of genesis paints to create realism for your lifelike reborn baby doll.